Pretty soon, you might — again — be able to complain about helicopters more officially. 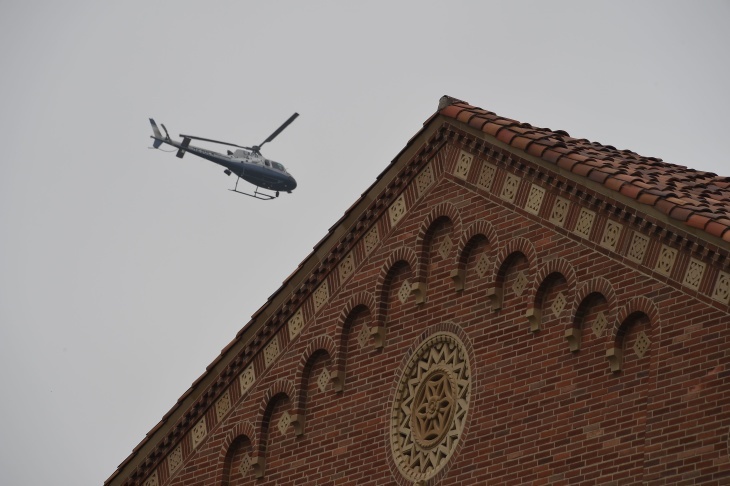 The L.A. County Board of Supervisors voted today to take a step towards bringing back the Automated Helicopter Noise Complaint System (ACS), a hotline for residents to call and air their grievances about loud or otherwise bothersome helicopters in their neighborhood. The board passed a motion to support the request of the Professional Helicopter Pilots Association to reinstate the system, and to issue a letter of support to the Federal Aviation Administration and the County's congressional delegation. The motion was brought by Supervisors Sheila Kuehl and Kathryn Barger. The ACS first launched in 2015, at a cost of about $250,000, and was funded by the FAA at $30,000 a year. It was extended twice before being terminated in June 2018. Yes, the program let residents vent but it was also aimed at providing insight into where helicopters are showing up on a regular basis, and what types of operations caused the most complaints. Despite losing funding in 2018, the ACS's website is still up. The phone line tells callers that WebTrak is the best option to use — but then goes ahead and provides the option to continue filing their complaint on the phone line. They're then asked how recent the disturbance was. The system then automatically detects the caller's zip code. No information is provided on where the complaint goes, or how — or if — a response will occur. 11 p.m.: This article was updated with the initial cost of the ACS program. This article was originally published at 4:33 p.m.